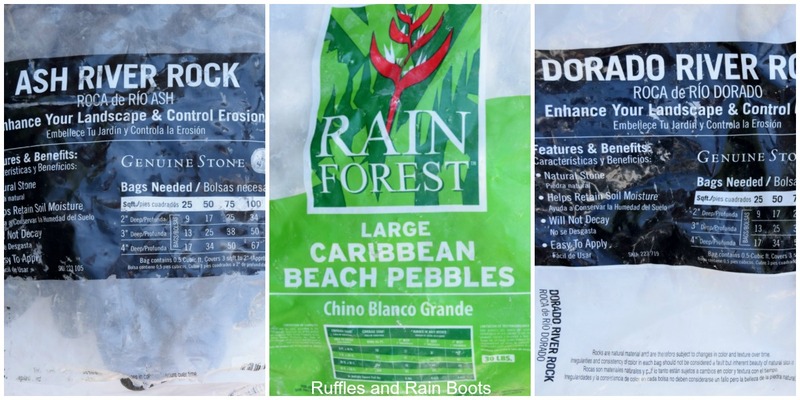 I get asked about the best home improvement store rocks for rock painting. In this article, I show you which rocks I use and rock painting ideas to go with each of them. Let’s get started with the rock painting fun! 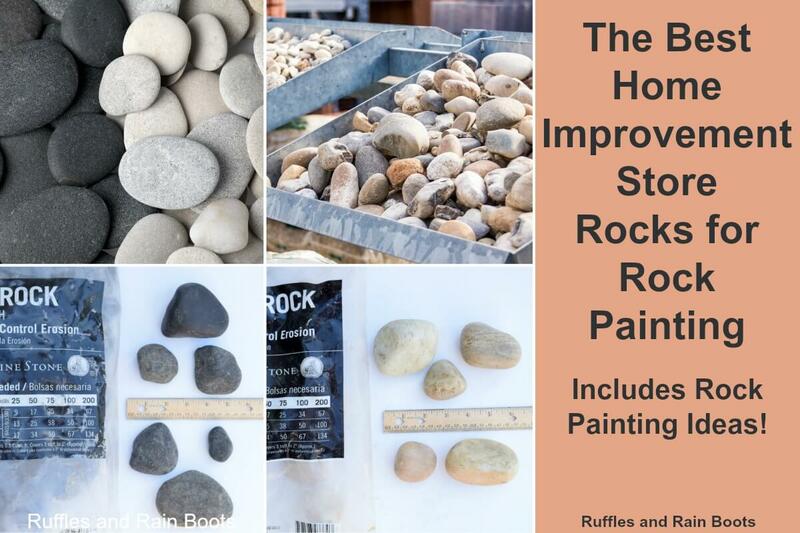 If you’ve read my piece on where to get rocks to paint for rock painting (6 places), you know I fully recommend beginner rock painters start with home improvement store rocks. you get a chance to experiment with many rock sizes, shapes, and textures. RELATED READING: Where to Get Rocks to Paint for Rock Painting (6 Places)! Now that we’ve determined home improvement stores are a rock painter’s friend, let’s break down each type of rock available. NOTE: I will constantly add to this article. Be sure to pin it to your favorite rock painting board on Pinterest so you can check back later. These home improvement store rocks are pale in color and have beautiful natural patterns. They are relatively smooth (the smoothest we’ve picked up from home improvement stores). Dorado river rocks also take less base coat paint to cover them. They aren’t always flat, but we find that they are excellent for rock painting. Scratch Art Rock Painting Idea – So Much Fun! These rocks are gorgeous! The Caribbean beach pebbles are not smooth but make base coat painting a breeze. You will most definitely have to clean them, as when you stick your hand in the bag, it will be covered with a fine, white powder. Honestly, they are wonderful to paint on if you don’t need a very smooth rock. If you’d like to quickly and easily make them a tag smoother for painting, use a heavy gesso (pronounced jeh-sew) as a base layer. How to Blend Paint Pens Easily – Make a Blended Rainbow Rock! These rocks are very dark – some are even black. The various sizes and shapes allow us to vary our rock painting designs and improve our painting skills. I’ve found they are very, very dirty and need a good scrubbing before painting. Additionally, one side is usually flatter than the other but isn’t smooth like the Dorado River Rocks. That being said, we really like painting on these. 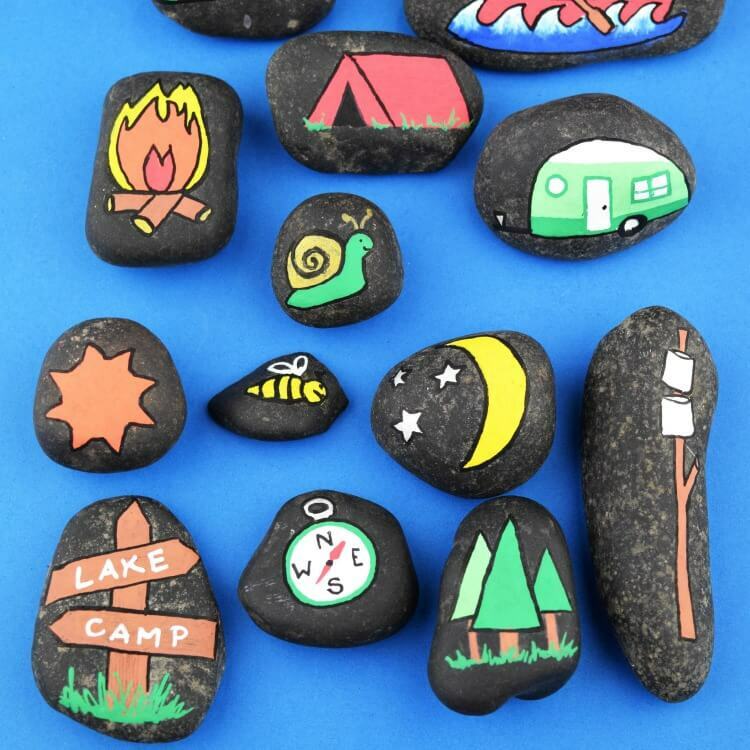 Camping Story Stones – These Are Sure to Impress! 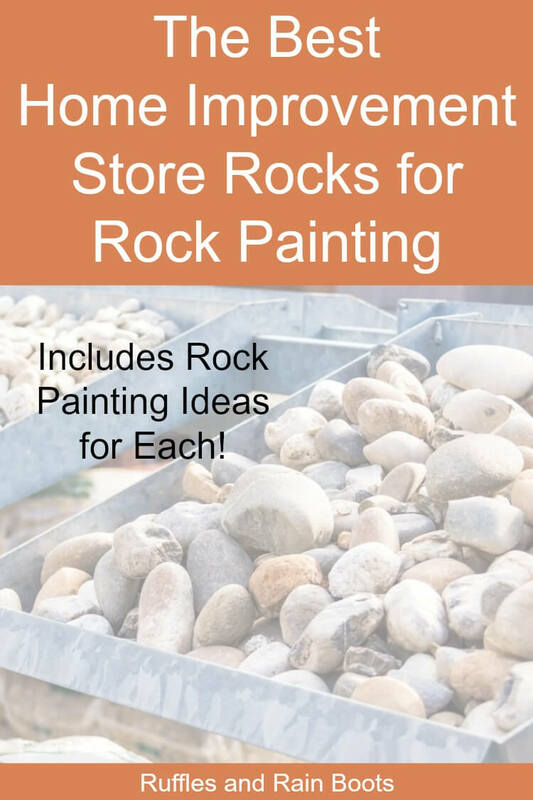 What are your favorite home improvement store rocks for rock painting? I think each of these has benefits and drawbacks, but it helps to challenge me as a painter. And that’s fun. Be sure to pin this to your favorite rock painting ideas board on Pinterest and check back for reviews of bagged rocks and individual rocks.